Are you receiving a written warranty for the auto body work performed on your vehicle? If not, why are you chosing that repair facility? If the repair facility can't stand behind its work, the quality of the work is seriously suspect. 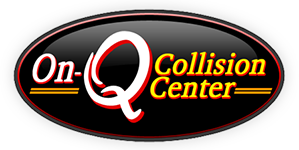 On-Q Collision Center provides a Lifetime Written Warranty on the majority of our work. There are a few exceptions, such as rust repair. We always stand behind our quality and workmanship. We invite you to come on out for a free estimate and ask for a copy of our warranty when you get the estimate written. Not only do we, as owners, take pride in the work that is represented with the On-Q Collision name, but our employees also take great pride in the quality of their work.